On the surface, online marketing is pretty simple – drive traffic to your website, generate leads and close the sales. But in practice, it’s not always obvious how to develop the right traffic, create engaging content, and generate good leads in a way that produces more profit than you spend on marketing. That’s where we come in. 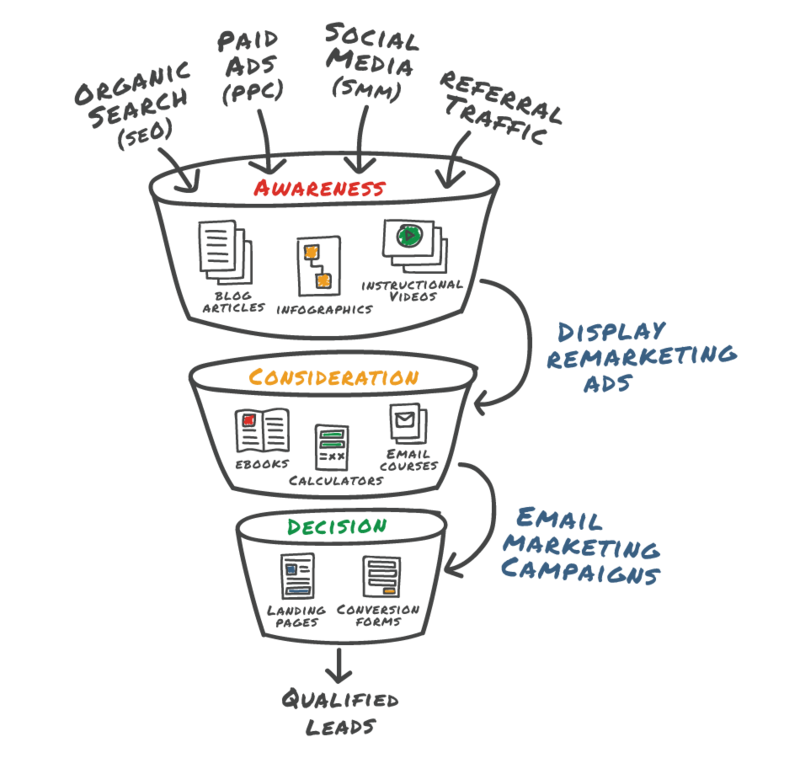 We develop a custom marketing strategy for your business that results in an “online sales funnel” that delivers at least a 2-3X return on your marketing investment. While the specifics of the strategy we develop will be unique to your company, our focus is helping you develop targeted traffic, engage users with relevant content, and convert them to qualified leads in a way that results in profitable revenue for your company. As we execute your campaign, we continually measure our performance and refine our approach to ensure you get the best results. Figure out exactly what your target audiences problems are, how you can help solve them and then tell that story on your website. improve or stop what’s not working; repeat!